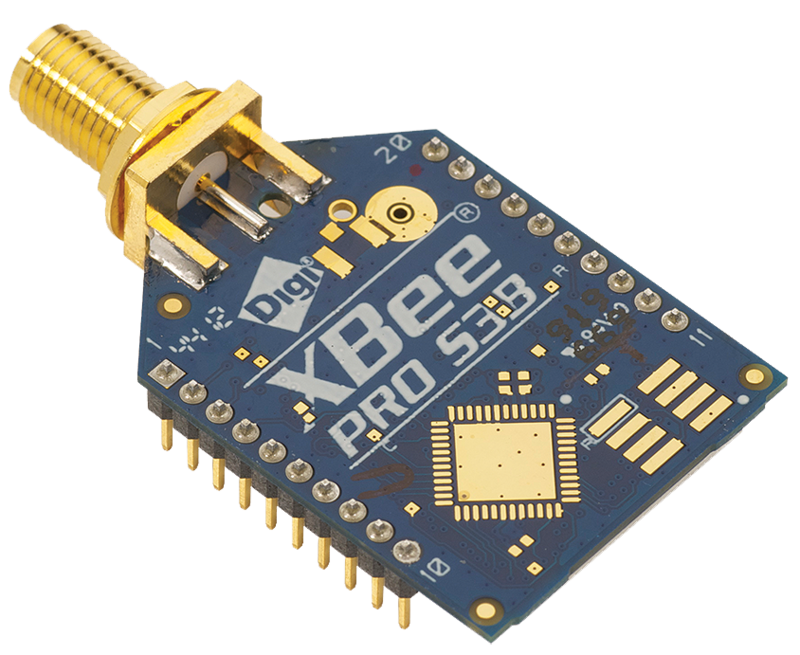 By selecting the XSC interface you will be sending commands through a modem connected to the USB port of your computer. Boards on this page are equipped with a XSC communications module that adds wireless communications to the board. Below you will find the 8-channel 900MHz Wireless Relay that are available. The difference being the amperage of the relays installed and the type of relay. Choose the controller that fits the amperage you are switching. You will find SPDT relays in the 5, 10 and 20 amp versions and an SPST version in 30 amp. DPDT versions are also available with 1, 3 or 5 amp relays installed. For more information on selecting the correct relay for your application see Choosing a Proper Amperage. 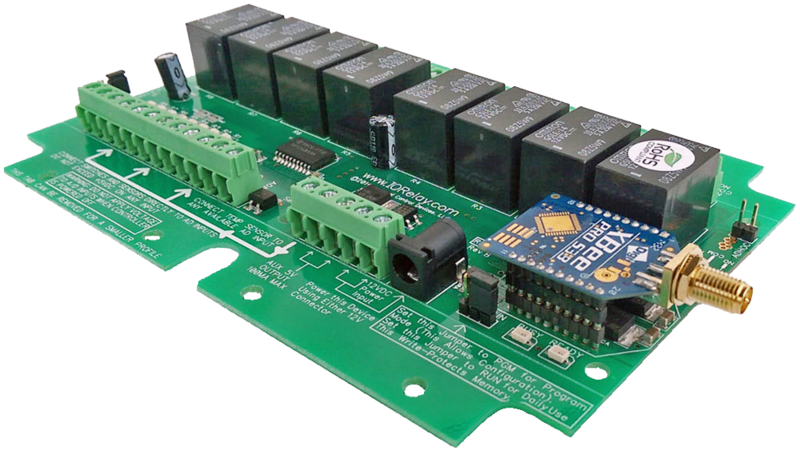 The 8-channel 900MHz Wireless Relay boards are available in the ProXR Lite and ProXR versions. Both versions have the same firmware installed and accept the same ProXR command set, the industry leading command set for controlling relays. The ProXR lite version is non-expandable, the ProXR version is expandable to 256 relays. When you find your controller click on the Full Description link to view full specs, watch setup videos, download software and purchase.